Editor’s note: Kleffmann Group provides agricultural market research services based on its amis survey system, which evaluates seeds and chemical use at the farm level. As part of an exclusive relationship with Farm Chemicals International, Kleffmann offers country information on key markets throughout the year. Visit www.kleffmann.com more information on its database products and information consulting services. One of the most dynamic agricultural markets in terms of growth in Europe, Romania, has experienced a significant growth in the agricultural inputs segment during the past five years, including the market for seeds and crop protection products. Since 2010, the average annual market growth rate of the crop protection market has been 25%, while the seed market has grown by approximately 17% per year. 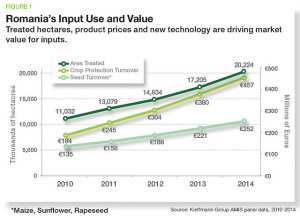 Market growth in the seed and crop protection input segments is directly linked with the technological changes taking place in Romanian agriculture: As Kleffmann Group AMIS panel data (Figure 1) shows, the growth in turnover of the crop protection market is in proportion to the increase in crop protection products usage (both extensively and intensively), although this growth was also driven by increasing costs per hectare. The growth in the seed market, on the other side, is primarily driven by the increased use of certified seeds for sowing, instead of ones saved from the previous year’s harvest. 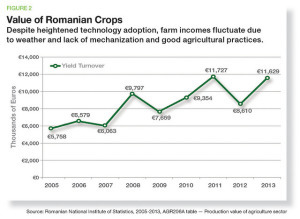 These positive changes in the technologies used by farmers, which stand as a proof of the ongoing professionalization of Romanian agriculture, are a direct consequence of the consolidation process that influenced the farm structure in Romania during the last decade and is still taking place. 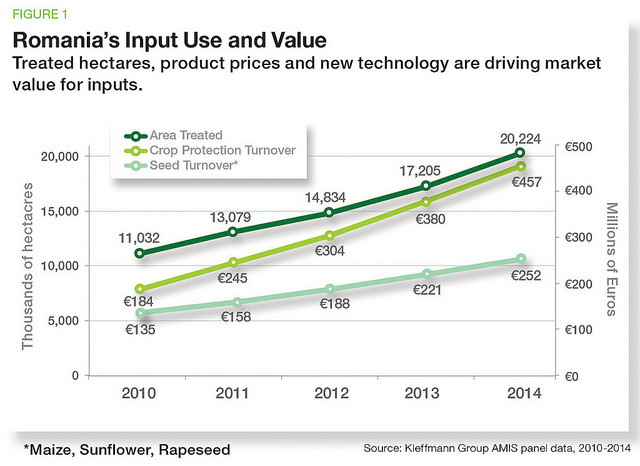 However, the changes in the input market do not correlate directly to the crop production value (turnover). Even though from 2005 until 2013 the value of the crop production has doubled, the growth has not been as constant as the input market: Farm incomes have fluctuated significantly during the past several years (Figure 2). This variability in turnover is due to the fact that crop production wavers greatly between years, both qualitatively and quantitatively. 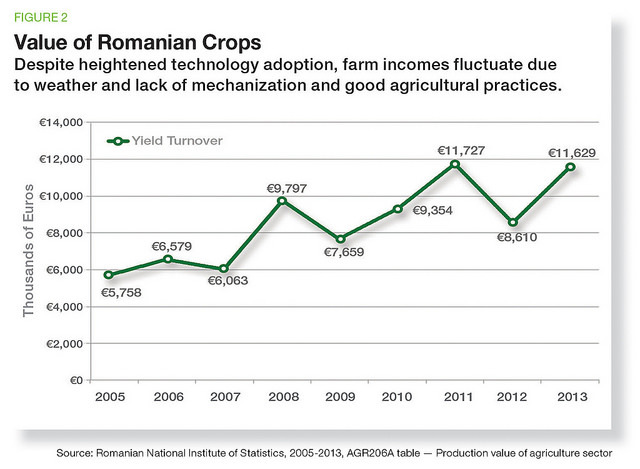 In Romania, yield is still highly susceptible to climatic conditions, due to the use of outdated technologies and the failure to adequately mix the inputs (seeds, fertilizers, pesticides, irrigation), which drastically affects farmers’ incomes. The performance of the agricultural sector in Romania is greatly affected by two linked phenomena: fragmentation and structural duality. Fragmentation: Of the approximately 12 million existing farms in the European Union in 2010, according to the 2010 General Agricultural Census, more than 3.85 million (32%) were in Romania, which reveals a great extent of fragmentation of Romanian farms, and this in turn exerts negative consequences on the economic performance and the general state of development in agriculture. Structural duality: On one hand, there are extremely modest exploitations of small-sized farms, which produce mostly for their own needs, do not invest and do not generate consumer produce. On the other hand, a relatively small number of farms produce most of the industry’s marketable goods using modern technologies. This bipolar distribution is somewhat balanced, meaning that the utilized agricultural area of professional farms, which are efficient and competitive, is approximately equal to that of farms which practice subsistence agriculture. 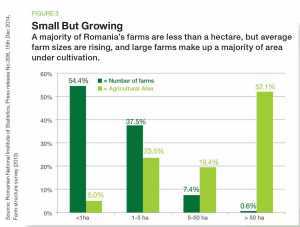 Such pronounced bipolar distribution, with most of the farmland divided, is the main factor limiting the growth of the competitiveness of Romanian agriculture. However, the structure of the agricultural area is changing with the larger agricultural exploitations gaining ground. The number of farms decreased in 2013 compared to that recorded by the General Agricultural Census of 2010, reaching more than 3.6 million in 2013. This represents a decrease by about 6%, primarily due to the consolidation process. Moreover, the average area used per farm in 2013 was 3.60 ha, slightly higher compared to the 3.45 ha used on average in 2010. This is still much lower (by more than 4 times) than the average size of farms in the EU-27 which was 14.3 ha in 2010. Depending on the size classes of utilized agricultural area in 2013, the farm structure was different in both number and in terms of agricultural area, compared to 2010. Farms under 1 ha, although they represented more than 54% of the total number of farms, they used only 5% of the agricultural area (figure 3). By contrast, large farms, sized over 50 ha, although representing only a small percentage (0.6%) in terms of number, held over 52% of agricultural area. 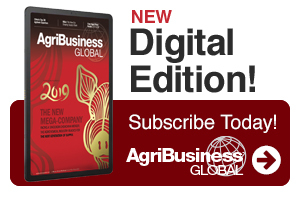 The speed of the consolidation process has increased during the past years, and there is still potential for approximately 1.3 million hectares of arable area to enter professional cultivation in the near future. Out of this, approximately 300,000 hectares is expected to enter into the cultivation process from set aside land. Although the situation is changing, the phenomena of fragmentation and of structural duality of farms are maintained, requiring a lengthy process to produce restructuring effects at the farm level. The structural duality of the Romanian agricultural sector is one of the big challenges for policymakers, persisting despite measures aimed at land consolidation and the reallocation of rural labor. The Romanian agriculture and rural sector will continue to have substantial growth potential with agricultural restructuring and the revitalization of the rural economy being important levers of economic development for Romania. Dan Jecan is Research Team Leader Romania for the Kleffmann Group, a global research and data consultancy. He can be reached at [email protected] Kleffmann Group offers monthly analysis to FCI based on its in-country surveys of farmers. See all author stories here.